Alice Lloyd College is named for its founder, Alice Spencer Geddes Lloyd, who came to the mountains of eastern Kentucky from her native home in Boston. Early in her career, she was a writer for local newspapers and periodicals. In 1902, Miss Geddes was publisher and editor of The Cambridge Press, the first publication in America with an all-female staff. In 1915, after a chronic illness that left her in need of a milder climate, she moved to a Presbyterian Mission in Knott County, Kentucky. Told that she didn’t have long to live, Lloyd said to her doctors, “Very well, but if I have only a short time to live, I’m going to use it to some good purpose.” When she arrived in eastern Kentucky, the area was sorely lacking in educational opportunities. The region was geographically remote, and, in comparison with the modern standards Lloyd was used to, very much “behind the times.” Immediately, Lloyd saw the need for regional uplift and felt that, through education, the Appalachian people could have a brighter future. Word of Mrs. Lloyd traveled to nearby Caney Creek where Abisha Johnson lived with his houseful of children. Johnson heard that Mrs. Lloyd was an educated woman from New England, so he made the short journey to see her and asked if she would return with him to Caney Creek to teach his children. In return, he promised to build her a home there and to give her some land on which to build a school. From this small beginning, dubbed by many as “the miracle on Caney Creek,” a school was formed. First a primary, then a secondary, and in 1923, a college: Caney Junior College, which was later renamed Alice Lloyd College. 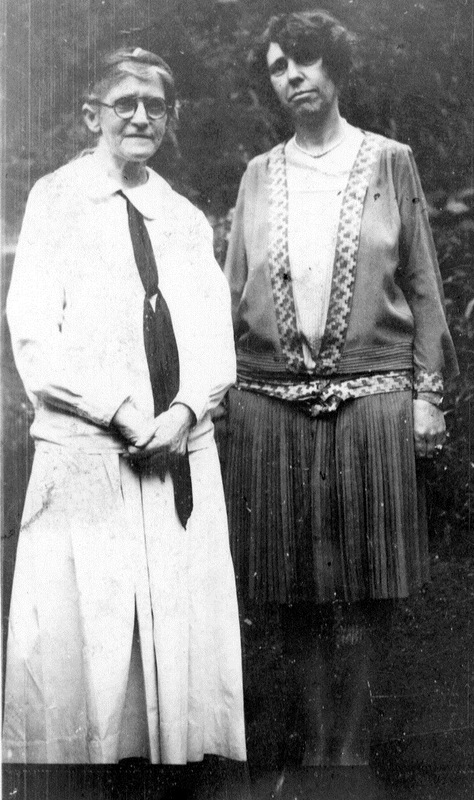 June Buchanan, a native of Syracuse, New York, had come to aid Mrs. Lloyd in her efforts in 1919. Sharing Alice Lloyd’s mission, Buchanan, lovingly called “Miss June” by all who knew her, served the College until her death in 1988 at the age of 100. Find out more about The June Buchanan School, a K-12 college preparatory school located on the campus of Alice Lloyd College. Alice Lloyd was a visionary and is credited with providing a multitude of “leaders for Appalachia” in the form of educators, medical personnel, lawyers, politicians, engineers, business professionals, entrepreneurs, and more. Much as it began, the College is still a small, private institution. Alice Lloyd College accepts no direct federal, state, or local funds, which means that it relies on the generosity of its ardent supporters, friends of the College, alumni, corporations, etc., for its existence. With this help, our students, over half of whom are the first in their families to get a college degree, graduate with little to no debt, and in many cases, the College continues to support financially its graduates who go on to pursue advanced degrees at other institutions. In today’s world where the cost of an education is always on the rise, this story is remarkable. Remaining true to its mission, Alice Lloyd College continues to educate its students to address the region’s current issues and problems. The College provides a comprehensive leadership development program for its students. This program focuses upon leadership philosophy, citizenship, and cultural development. The College attempts to infuse leadership education initiatives into all aspects of the educational experience, including formal classroom instruction, activities that help students learn to cope with cultures outside of Appalachia, group learning activities, involvement in service to others, opportunities to question their moral, ethical, and religious positions, and activities that place them in leadership roles. In the spring of 2014, the College initiated an Appalachian Entrepreneurial Development Program, which is intended to produce young entrepreneurs, who, in light of the rapid decline of the region’s coal industry, will improve the economic climate of the region. Alice Lloyd College’s commitment to serving Appalachia has garnered national attention. U.S. News and World Report has named Alice Lloyd a Top-Tier Academic Institution. The College’s academic programs are highly respected, and approximately 95% of Alice Lloyd students who apply to professional or graduate school are accepted. U.S. News and World Report routinely selects Alice Lloyd as one of the top colleges in the nation for graduating students with the least amount of average debt. Other publications and television programs have also heaped praise upon the College, including Forbes Magazine, The Wall Street Journal, The New York Times, USA Today, and NBC’s TODAY show.